Sharks captain Paul Gallen looks on. 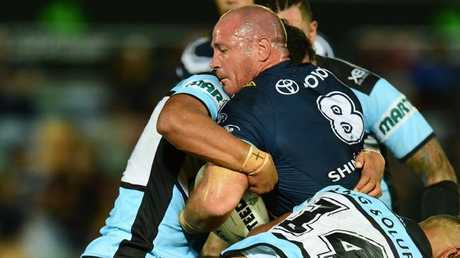 CRONULLA skipper Paul Gallen has fired back at North Queensland following accusations they deliberately targeted the injured knee of Matt Scott, challenging the Cowboys to name and shame his teammates. Gallen's comments follow claims from outspoken backrower Gavin Cooper that the Sharks employed dirty tactics of "twisting the legs" of Scott over the weekend. Cooper accused an unnamed Sharks player of committing unsavoury acts in the Cowboys' 20-14 win. A passionate Gallen rejected the allegations and challenged Cooper to present the evidence. "I don't know what his motivation is," Gallen said. 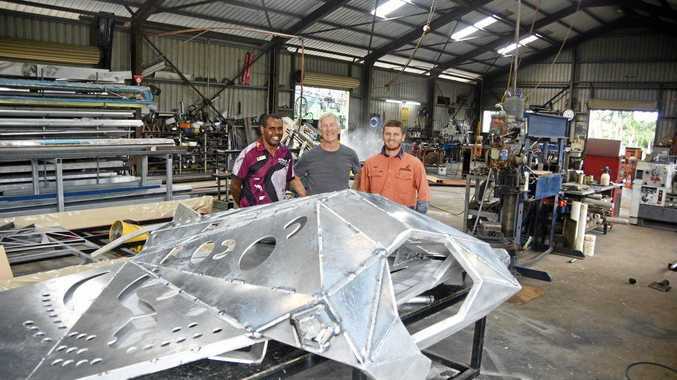 "If you're going to have a sook about it, go the whole hog. Don't go half way and say 'oh there's a couple of instances'. Paul Gallen and Matthew Scott get tangled up. "Name the player, name the player who he thought did it because it just never happened." The game was played on Friday but the first anyone had heard of the complaints didn't come until Monday. While Scott featured in the trials, it was his first game back in the NRL since tearing his ACL in Round 2 last year. Cooper clearly took exception to some of the tackles in the game but Gallen insisted everything was aboveboard. "We would not even know what knee Matt Scott had reconstructed," Gallen said. "I don't know where these comments have come from. I don't know what evidence he's trying to back it up with. The Cowboys have claimed Scott’s reconstructed knee was targeted by Cronulla. "There's no way that Matt Prior or whoever he said did it has bent Matt Scott's knee in any other way than what the knee bends normally. "There's nothing in it whatsoever. I'd love to call him a whinger or a sook but unfortunately at the end of the day they beat us which is the main thing that counts, but it just never happened. "There is no evidence whatsoever. "The game is that heavily scrutinised these days, we've got two referees, touch judges, video referees, then a match review committee and not even a warning letter." 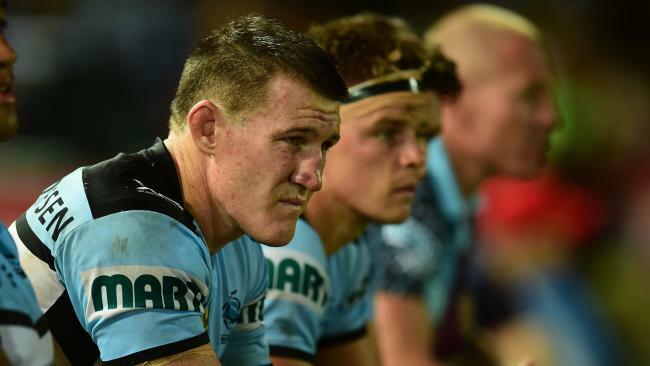 Gallen said targeting a players' injury isn't in the nature of the game. When questioned if he would resort to such tactics if asked by his coach, Gallen shut down any suggestion. "I've never had a coach say to me 'this blokes come back from injury, he's had an ACL reconstruction, get out there, get hold of the leg and twist it," he said. "… there's some limitations that we have in the game. "To go out there and intentionally target someone's knee and try to take them out of the game and effectively possibly end their career, that doesn't happen."